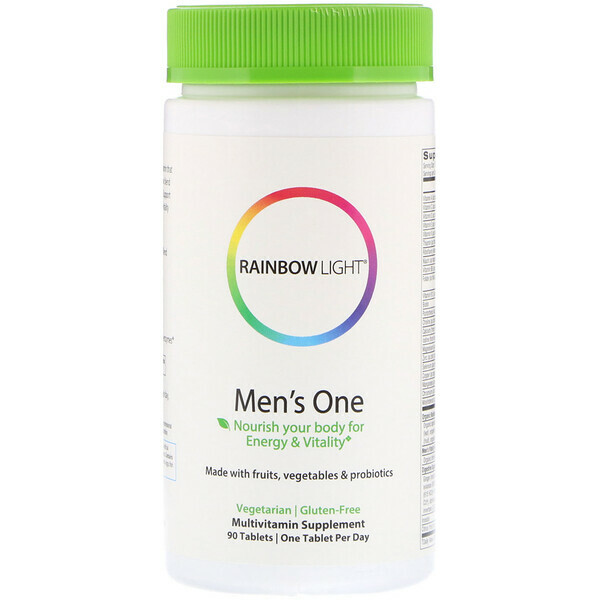 Nourish your body with our comprehensive multivitamin that delivers clinically researched ingredients, our rainbow blend of fruits and vegetables, and an advanced Digestive Support Blend to promote nutrient absorption and fuel your vitality at the cellular level. Promotes energy and vigor with our Men's Vitality Blend and potent B vitamins. 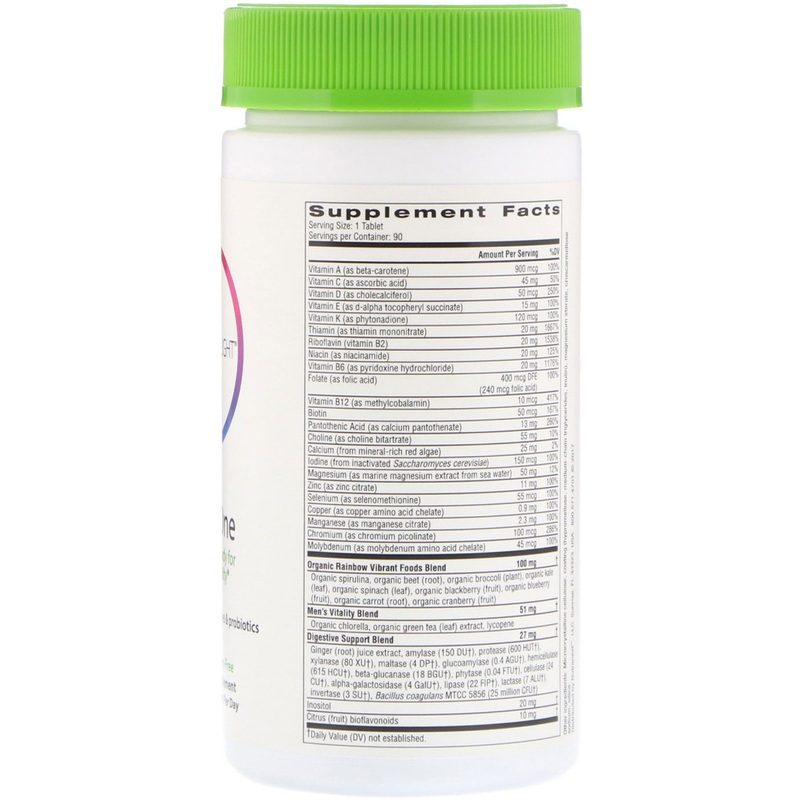 Supports immune health with antioxidant vitamins C and E, plus zinc, selenium and lycopene. Easy to digest and with probiotics and plant-source enzymes. Microcrystalline cellulose, coating (hypromellose, medium-chain triglycerides, inulin), magnesium stearate, croscarmellose sodium, silica. Made purity-tested ingredients and no artificial preservatives, colors, flavors or sweeteners. Contains No: Gluten, wheat, milk, tree nuts, peanuts, egg, fish or shellfish.